COI Track can prevent significant liabilities to your organization by addressing insurer requirements and tracking expiration dates on certificates of insurance (referred to as COI). COI Track is designed to track certificates of liability and property insurance. 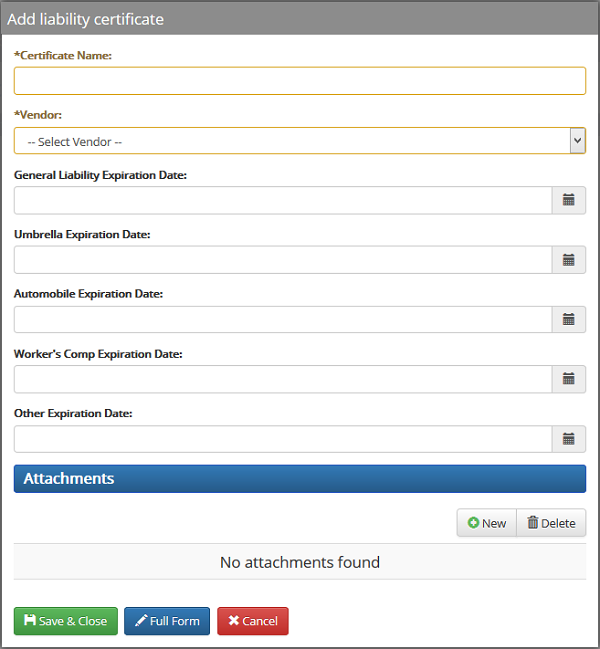 The program automates this tracking process by monitoring each certificate’s expiration dates and liability limits, providing reminders of upcoming dates to prevent liability risks. Contractors, vendors and suppliers can be contacted directly from the system, allowing for a seamless COI management process. Attending the COI Track training will get you prepared to start using the below getting started resource. Click HERE to register for a COI Track training webinar.